What was your basis or inspiration for creating Lung Hin’s menu? How has Lung Hin’s menu evolved? When I first arrived here in Philippines, I am inspired to bring my Cantonese special dishes. What are your favorite ingredients? Or what food/ingredients are always in your pantry? I usually use healthy ingredients such as wild rice, fungus, mushrooms, and herbals, and some special ingredients from Hong Kong, such as the dried sea cucumber, abalone, and bird’s nests. What would you like to tell people when they are eating your food? I normally tell that we provide traditional Cantonese food. They don’t need to fly to Hong Kong to get to taste this authentic cuisine, just go to Lung Hin, Marco Polo Ortigas Manila. I like sharing how to cook the dishes, the history of the cuisine and the stories behind it. What challenges have you encountered in the F&B industry that have made an impact on you? 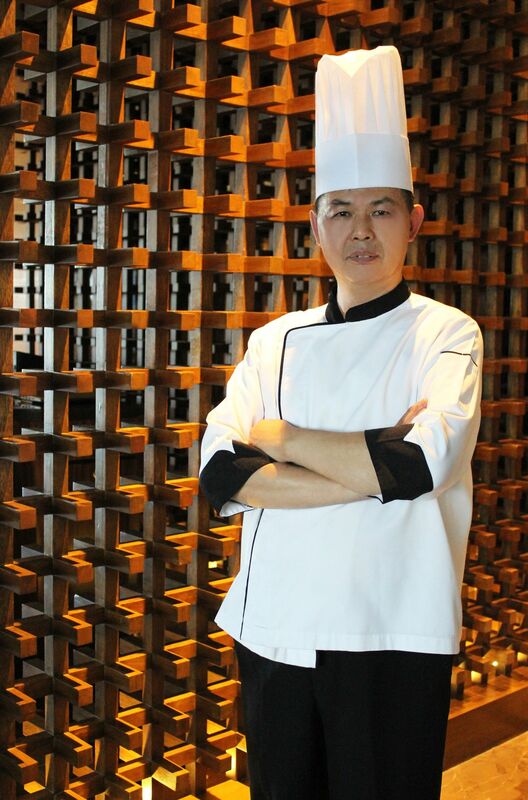 Our challenge is to maintain the standard to cook our Traditional Cantonese Cuisine. Who is your ideal person to cook for? Why? For people who enjoy and love Traditional Cantonese Cuisine. This is my specialty dish, and it gives me inspiration when someone appreciates this kind of cuisine, when they enjoy it. What influenced you to become a part of the culinary world? What is it that you love about food? When I was young, there is only few career opportunity to look for in Hong Kong. I tried the culinary world and I already love it. I love cooking for people and seeing them enjoying my food. If you could cook any other cuisine, what would it be and why? I would like to cook Sichuan Cuisine. This is a wide variety of food. Do you have a favorite food or type of food that you like to eat? I love to eat traditional Cantonese food and live seafood. You already serve dim sum for dinner. How do you see modern Chinese cuisine evolving over the next few years? We will evolve to have heathier Cantonese Cuisine. We will start to launch new dishes such Steamed Garoupa with Cordyceps Flower, Double Boiled Bird’s Nest Soup in Whole Papaya, and Braised Japanese Sea Cucumber with Canadian Wild Rice. Your cuisine is hailed as being in the forefront of modern Chinese. What other dishes are you planning for Lung Hin? We are planning to have healthier Cantonese Food such, “Double Boiled Bird’s Nest Soup in Whole Papaya”, and “Braised Japanese Sea Cucumber with Canadian Wild Rice”.